Tehrani Dehkordi, M. (2015). An Analytical Study of Initial Shear Behavior of Plain Woven Hybrid Fabrics. Journal of Textiles and Polymers, 4(1), 9-14. Majid Tehrani Dehkordi. "An Analytical Study of Initial Shear Behavior of Plain Woven Hybrid Fabrics". Journal of Textiles and Polymers, 4, 1, 2015, 9-14. Tehrani Dehkordi, M. (2015). 'An Analytical Study of Initial Shear Behavior of Plain Woven Hybrid Fabrics', Journal of Textiles and Polymers, 4(1), pp. 9-14. Tehrani Dehkordi, M. An Analytical Study of Initial Shear Behavior of Plain Woven Hybrid Fabrics. 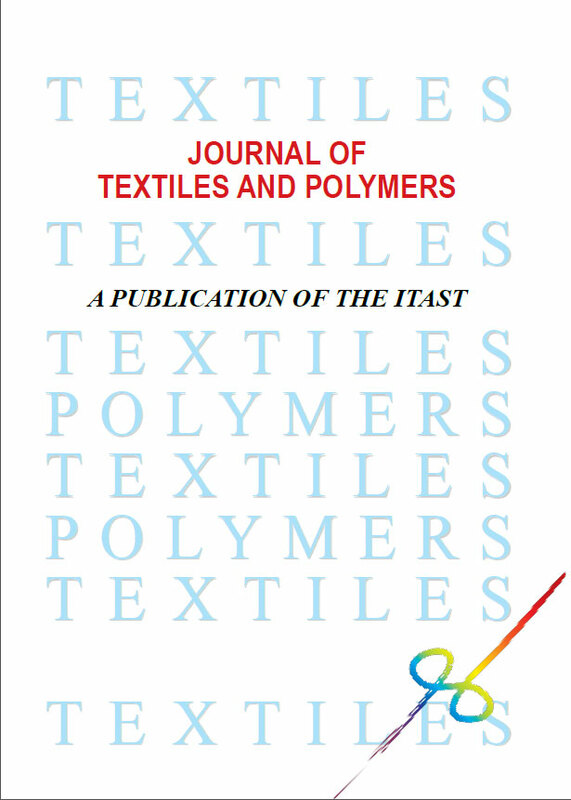 Journal of Textiles and Polymers, 2015; 4(1): 9-14. During recent years, the fabrics made from different yarns have been used for industrial purposes such as composite materials. Given the importance of the shear properties of these fabrics, a mechanical model based on the Grosberg and Park's Model for hybrid plain-woven fabrics is proposed. In this model, using the Energy method, the initial load-shear angle behavior of hybrid fabrics is calculated from the yarn mechanical properties and the fabric structure. To evaluate the proposed model, the experimental results for initial shear modulus obtained from pure and hybrid fabrics of basalt and nylon are compared with the theoretical model results. A comparison of the results shows that there is rather a good agreement between the proposed model predictions and experimental results. shear models of woven fabrics”, Compos. Part A-Appl. S., vol. 36, pp. 105–114, 2005.
woven fabric”, Compos. Struct., vol. 54, pp. 179-195, 2001.
woven carbon fabric”, Compos. Struct., vol. 47, pp. 767-779, 1999.
reinforced composites in forming process”, Compos. Part A-Appl. S., vol. 28, pp. 869-874, 1997.
fabrics”, Compos. Struct., vol. 67, pp. 317–322, 2005. Compos. Manuf., vol. 5, pp. 3l-39, 1994.
surfaces”, J. Text. I., vol. 47(2), pp. 477–488, 1956.
theory”, J. Text. I., vol. 64(2), pp. 62–85, 1973.
shear”, J. Text. I., vol. 87(1), pp. 120–129, 1966.
sheets”, Compos. Manuf., vol. 3, pp. 165-172, 1992.
state”, Compos. Sci. Technol., vol. 60, pp. 977-986, 2000. Compos. Part A-Appl. S., vol. 39, pp. 1037–1053, 2006.
composites based on basalt and nylon woven fabrics”, Mater. Design, vol. 31, pp. 3835–3844, 2010.
vol. 53, pp. 1290-1297, 2004. A-Appl. S., vol. 31, pp. 299–308, 2000.
vol. 43, pp. 903–914, 2012.